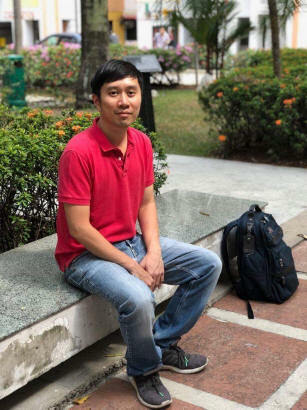 We are a group of citizens who are deeply troubled by the mounting charges that social worker and human rights advocate Jolovan Wham faces in Singapore courts. In 2017, six local NGOs issued statements immediately after charges of illegal assembly, vandalism and refusing to sign police statements were brought against Jolovan. These statements, along with a petition signed by 6,533 people, registered grave concerns about his prosecution, and a call to protect our freedom of expression. let the scholars n top generals DEBUNK any ordinary sg who diiffers in his/her OPINIONS from the scholars themselves and let the PUBLIC decide who has got the BETTER OR MORE REASONABLE CASE? WHY SCHOLARS HAVE GOT THE CHEEKS TO CLAIM MERITOCRACY BUT HAVE GOT NO BALLS TO CHALLENGE ON LEVEL PLAYING FIELDS ANY REMARKS/OPINIONS they deem as FAKE??? WHAT IS FAKE TO ONE GROUP MAY BE TRUTH TO ANOTHER OR THE OTHERS??? Take for example,TAXES/LEVIES N SURCHARGES ON UTILITIES ,CARS COE and CPF as examples. to the SCHOLARS/GAHMEN,they think *KEEPING OUR CPF’ is good for us BUT TO MOST sgs,this is NOT SO! SO,YOU SEE,WHAT IS TRUE TO PAP SCHOLARS/MINISTERS IS UNTRUE TO ordinary sgs who need their CPF to see them through their daily needs in our very HIGH COL environment! so,WHO AND WHAT IS FAKE AND WHO AND WHAT IS REAL? LETS HAVE GENTLEMANLY OPEN DEBATES. if you think you are the BEST N BRIGHTEST,PROVE IT,DONT JUST CLAIM IT,YA? Can someone get Nuseir Yassin to read this post? HOW CAN THERE BE “FAKE” NEWS LEGISLATION in contemplation when law and its interpretation is NOT even clever of dialectic. Look at this fake laws – two person walking in the same direction of imagined same thought is convicted of “illegal assembly” law BUT HORNY OLD UNCLES meeting and gathering (primae facie assembly) in Paya Lebar MRT station, marching to Geylang to “buy chickens” is NOT arrested. Every night plenty of foreign chicken assembled in Geylang, selling “moral” services are also unmolested by the same “illegal assembly law” IN CONTRAST. Even more ridiculous is this puzzle – the head is on the shoulders of the accused, not the sitting judge (whoever), how did the judge know what is in the mind of the convicted accused of alleged “same intention/purpose” as the proven basis of “fact” (instead of fiction) to then convicted the accused? NO SANE MIND COMPREHEND THIS LAW, I would think. Let the GaGament embarrass themselves internationally by wanting and needing to show Singaporeans and Foreigners here that they are in fact the most stupid cocky govt in the whole world. They deserve it! As stupidity has not cure. no cure and not not cure. VTO………Vote Them Out ……….your opportunity is on the horizon………June 2020. All the proxies of angmohs!